To Salt or Not to Salt; That is the Question: How Much Salt is Recommended for Alzheimer’s Prevention? To Salt or Not to Salt; That is the Question: How Much Salt is Recommended for Alzheimer’s Prevention? So, how much salt does the average person in America ingest? That number is estimated to be over 3,400 mg per day, according to Harvard Health. According to a recent Harvard Health report, the U.S. guidelines for the average adult daily intake of salt per day is under a tsp. ofsalt–2,300 mg of sodium per day. The American Heart Association says no more than 1,500 mg per day, particularly for certain people with high risk for heart disease. When it comes to cardiovascular health, high blood pressure is one of the most modifiable risk factors (able to be changed). Heart disease is the leading cause of premature death worldwide, so factors that can be changed are important for heart as well as brain health. Reducing sodium rates (to recommended levels) would result in approximately 10 percent fewer deaths associated with cardiovascular disease. Limiting the intake of sodium can help prevent or control high blood pressure and avoid a condition where the body retains fluid beyond its ability to effectively get rid of it–called fluid overload. Fluid overload, also referred to as hypervolemia, is a condition in the body with excess water. Of course the body normally has a specific amount of water or fluid, but too much can actually lead to serious health problems. Causes include, heart failure, kidney problems (retaining salt) diabetes, cirrhosis of the liver, pregnancy, hormonal imbalances. 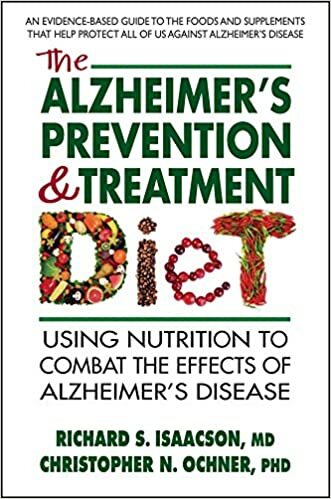 Learn more about the Alzheimer’s diet by CLICKING HERE to view The Alzheimer’s Treatment, Alzheimer’s Prevention Diet book, written by Dr. Richard Isaacson, M.D., Harvard trained neurologist.